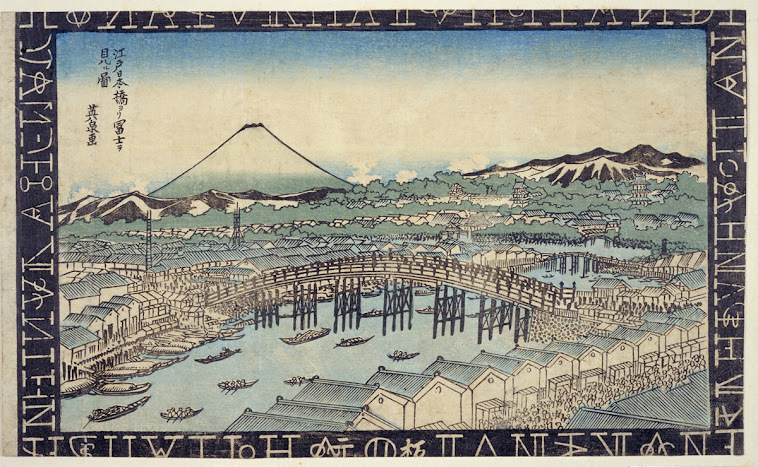 Since many men lived alone in Edo, food vendors had a good clientel. 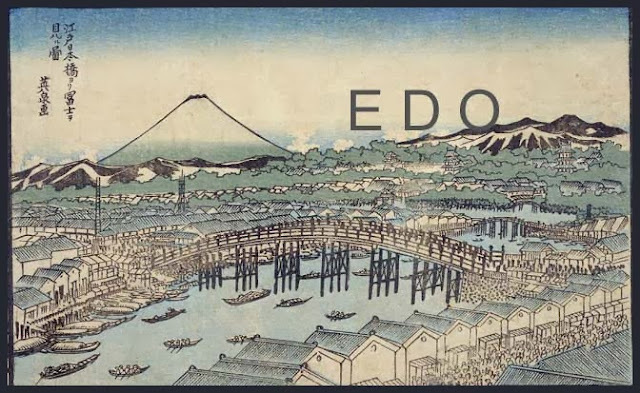 Fast food was also "invented" in Edo. 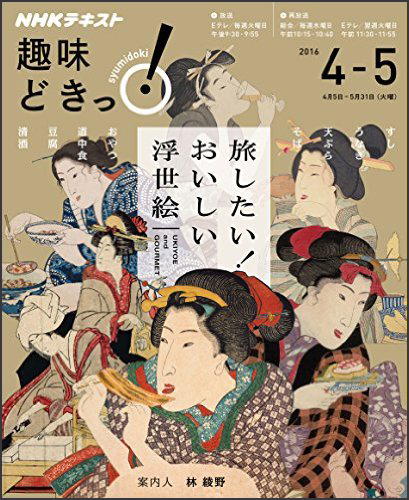 The vendors would come in the morning and evening to call out their merchandise, thus being some kind of "clock" for the people to know the time and adjust their living to it.
. WASHOKU - 100 Favorite Dishes of Edo - 江戸料理百選 .
. Toshimaya 豊島屋 first Izakaya in Edo (1596) .
. Edo Yatai 江戸屋台 Food stalls in Edo .
. Nihonbashi Uogashi 日本橋魚河岸　Fish Market in Edo . akaiwashi uri 赤鰯売り selling "red iwashi sardines"
aka-iwashi 赤鰯 are dried, salted pickled sardines. 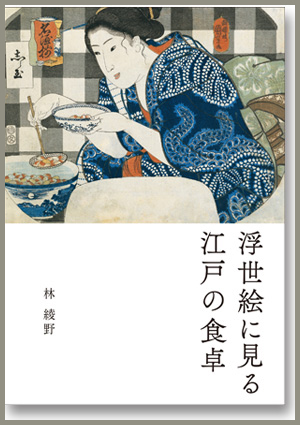 They were best sold during the time of Setsubun rituals in Spring. 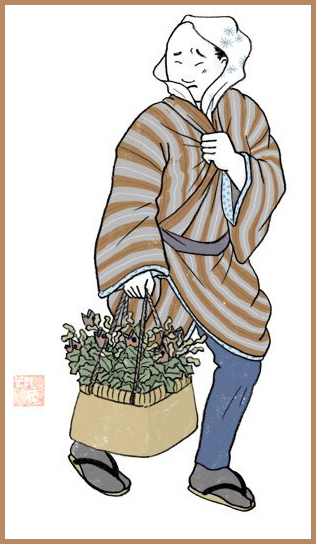 aka-iwashi was also another name for a rusty sword.
. hiiragi uri 柊売 selling holly branches . You pierce the head and eat the sardine ! The holly branch with the fish head is placed outside of the front door to ward off evil influence and keep you healthy. The demons do not like the smell of this fish and keep off. Demons also fear the sharp needles of the holly pierce their eyes, so both together are a powerful talisman. This custom is more common in the Kansai area.
. amazake uri　甘酒売り selling sweet rice wine .
. aomono uri 青物売り vegetable vendor - Edo yasai 江戸伝統野菜 .
. hatsugatsuo uri 初鰹売り　selling first Katsuo bonito .
. hiyamizu uri　冷や水売り　selling cold drinking water . - - - - - . 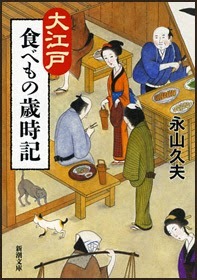 志ら玉 Shiratama sweets in Edo - ukiyo-e .
. Izakaya in Edo 江戸の居酒屋 drinking Sake . 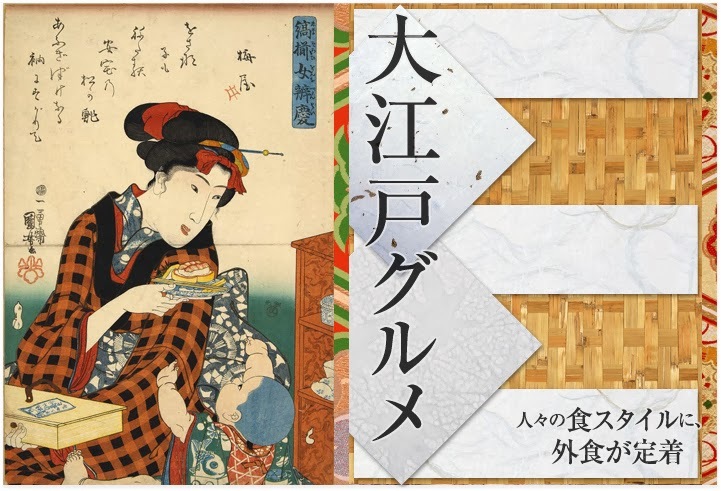 Traveling in Edo with Ukiyo-E prints and food ! 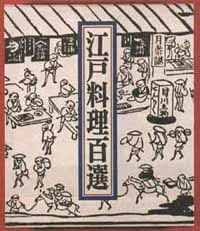 selling meat "from one-hundred wild animals" .
. monjiyakiya 文字焼き屋 selling "monjiyaki" . This is the fore-runner of okonomiyaki お好み焼き.
. mukimi uri, mukimi-uri　剥き身売り　selling shelled (stripped) clams .
. nattoo uri　納豆売り natto vendor in Edo .
. satoo uri 砂糖売 selling sugar .
. senbeiya, senbei-ya せんべい / 煎餅屋 selling Sembei 煎餅 (irimochi) rice crackers .
. shiruko uri 汁粉売り sweet broth with red Azuki beans .
. sobaya　蕎麦屋 Soba buckwheat noodle shops and stalls .
. soomen uri 索麺売 selling thin somen noodles .
. sushi-uri, sushiuri 寿司売り / 鮨売り　sushi vendor .
. takenoko uri たけのこ売り vendor of bamboo shoots .
. tamago uri, tamago-uri　卵売り　玉子売り selling eggs (raw and boiled) .
. tenpuraya, tenpura ya 天麩羅屋 /　てんぷら Tempura stalls .
. tokoroten uri ところてん売り selling Tokoroten jelly .
. toofuya, toofu-ya, tôfu ya 豆腐屋 / とうふ屋 Tofu makers .
. uiroo uri 外郎売り selling Uiro sweets and 透頂香 medicine .
. unagiya　うなぎ屋 eel restaurant .
. wasabi uri　山葵売り vendors of Japanese horseradish .
. monjiyakiya 文字焼き屋 selling "monjiyaki" in Edo .